Personal service is our priority. We are committed to providing you with outstanding personal service every step of the way. From your very first phone call to us, you will know the difference that personable and passionate legal help makes. You will know what it feels like to be taken care of. You will know what it feels like to have a law office that you can trust and talk to when you need them. 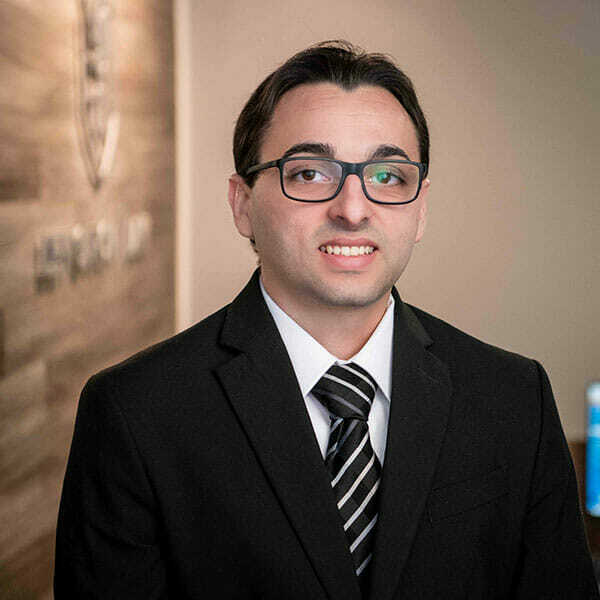 Our office has a team of experienced and friendly case managers, paralegals, and assistants to ensure that your case moves along quickly and all of your phone calls, e-mails, and text messages will get returned within 24 hours – probably much sooner! We will be happy to hear from you. We invite you to get to know us by reading about us below. Ann Monique has worked at Lem Garcia Law for three years and loves the family atmosphere – with both co-workers and clients; everyone helps and supports each other. Her favorite part of working at LGL is being able to provide a more personable experience to the clients, so that they can focus on recovering from their injuries. Ann Monique went to Cal State LA (go Golden Eagles! ), where she received her bachelor’s degree in Criminal Justice as well as a Paralegal Certificate. After work, you can find her hanging out with her amazing, inspiring nieces, watching basketball or at a happy hour with her bestie (hey Renee!). The motto that Ann Monique lives by is “YOLO!” and she’s about it every day. 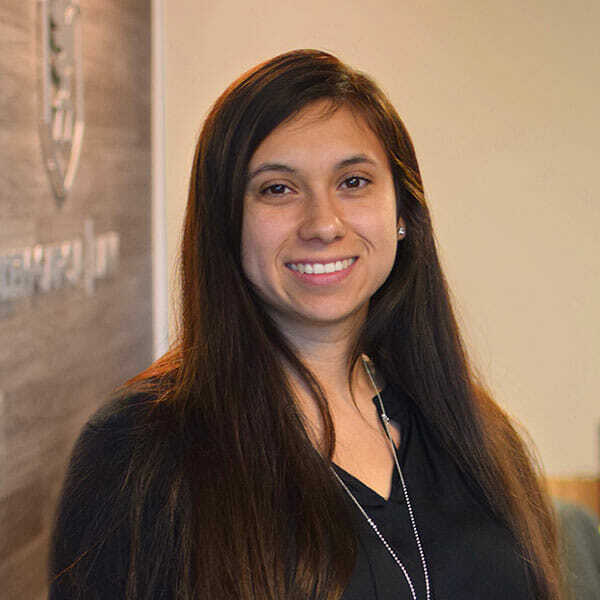 Valeria believes in the motto “Do what makes you happy, and if you’re not happy, change it.” Working at Lem Garcia Law makes Valeria exceedingly happy because she loves operating alongside her diligent, hard-working colleagues to help LGL’s clients during a trying time in their lives. Valeria grew up in neighboring La Puente, CA, and earned her degree from UC Santa Barbara. 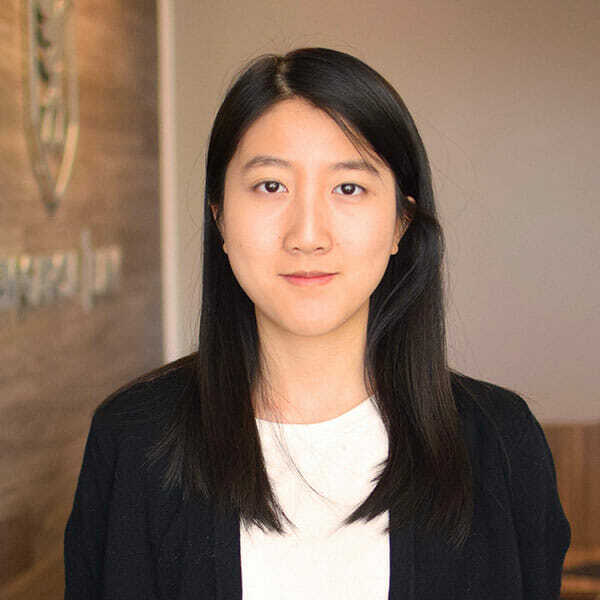 Though she has only been working at LGL for a year, she is focused on becoming a bodily injury expert. Outside of work, Valeria loves training in jiu-jitsu and taking her cat, Marshmallow, for walks in the neighborhood. And if you’re thinking of telling Valeria that taking cats for walks is crazy, just remember that she knows jiu-jitsu and she knows a ton about bodily injury! Growing up in El Monte, CA, as the daughter of immigrant parents, Odalys knows the value of hard work and sacrifice. 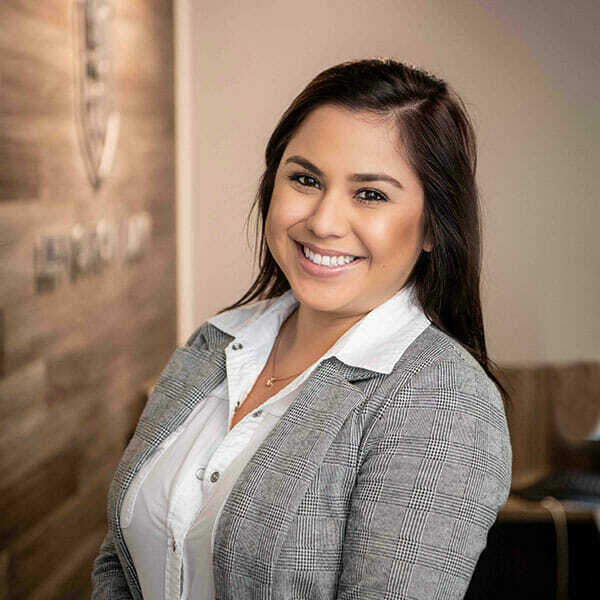 She loves working at Lem Garcia Law because she is able to help people from her surrounding community receive quality care and recover fair compensation when they are in an unfortunate situation. 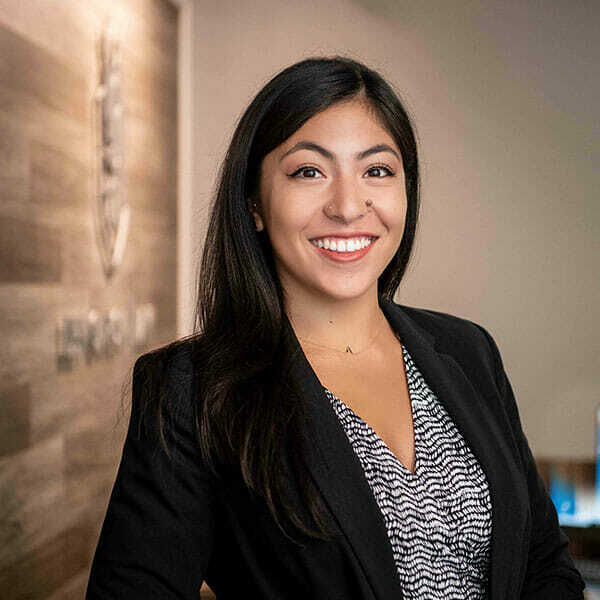 Since earning her bachelor’s degree from UC Santa Cruz, Odalys has been building her career around giving back, including interning at California Rural Legal Assistance, working with attorneys to provide free legal services and resources to underprivileged communities. At LGL, she has found a team of like-minded colleagues who strive every day to help those around them. Odalys’s life motto is: “If your dreams don’t scare you, they’re not big enough.” And you better believe her dreams are scary huge! Karisa loves being able to help people in her local community through her work at Lem Garcia Law. She grew up in the San Gabriel Valley, graduating from Citrus College. Karisa believes that “Life isn’t about finding yourself; it’s about creating yourself.” And she has created quite a life for herself, doing everything from working retail to being a dispatcher to doing makeup on set for HBO shows. 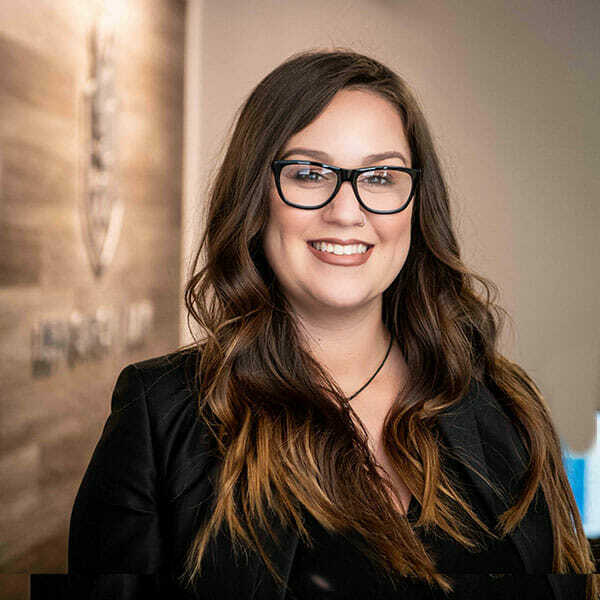 But her true passion is making connections and building trust with people, which is why she is making some of her best memories assisting clients at Lem Garcia Law. When she’s not busy at the office, you can find her with her family and friends or watching YouTube “how-to” videos. But don’t worry – she never watched the “How to be a Property Damage Specialist” video. That, she did the old-fashioned way: with lots of studying and hard work. 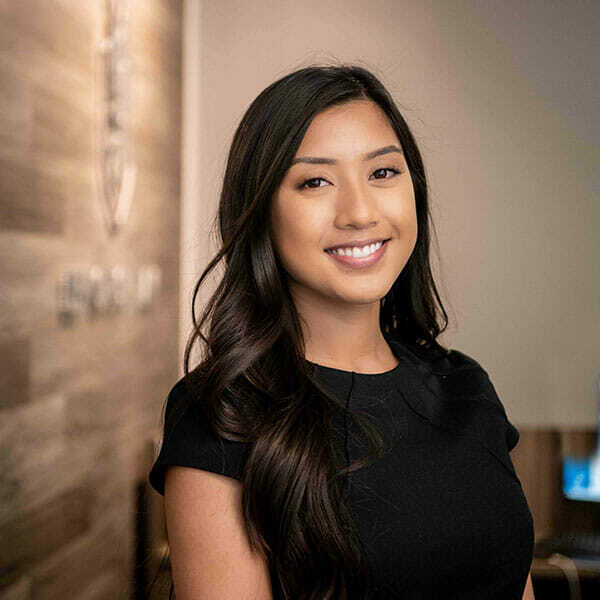 Alexys grew up just down the street in Baldwin Park, and cares deeply for the community and the people that Lem Garcia Law serves. 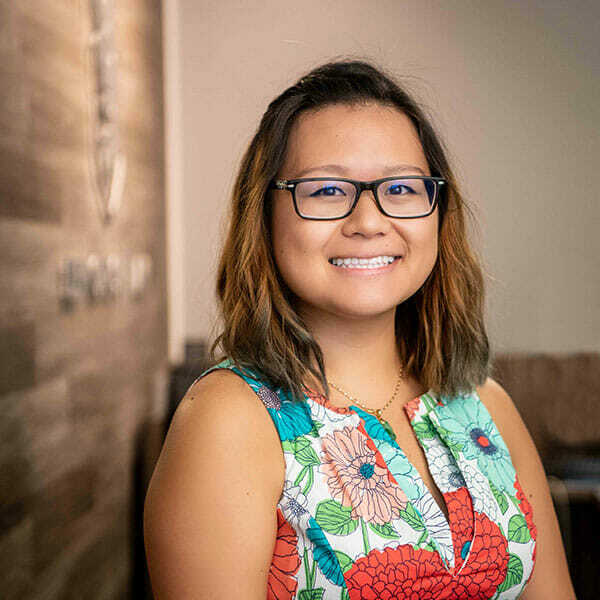 Her favorite part of working at LGL is being able to help the clients, even in the simplest ways, like a friendly phone conversation or a helping hand in and out of the office. She loves that as a law firm, LGL doesn’t see clients as a number, but as human beings in need of care and assistance. When she’s not in the office, Alexys is usually hanging out with her son, at the gym, or she’s hitting the books at Citrus College. Her role model is her mother, who she says is the perfect example of a strong independent woman. I-N-D-E-P-E-N-D-E-N-T do you know what that means? Alexys’s mom does. And that’s what has always driven Alexys to keep pushing herself further. Rachel is currently completing her bachelor’s degree at La Verne University, after which she plans to go to law school. Prior to her role at Lem Garcia Law, Rachel interned for one year at DLA Piper Law Firm in San Francisco. At LGL, she has really enjoyed the opportunity to help bring positive change into the lives of individuals who have just been through a life-altering experience. When she’s not at the office, Rachel is usually doing schoolwork or loving on her two pit bulls, King and Kira. When asked about Rachel’s busy schedule, King and Kira said it was “ruff!” being without her, but Rachel loves staying occupied and they’re cool with that. Renee grew up just down the way, in Covina, CA, and graduated from Mt. San Antonio College (go Mounties!). She has devoted her career to helping people, first for 13 years in customer-service-related fields, and more recently as a bodily injury paralegal. Lem Garcia Law is the perfect environment for Renee because she is surrounded by co-workers who live to support clients as well as one another. 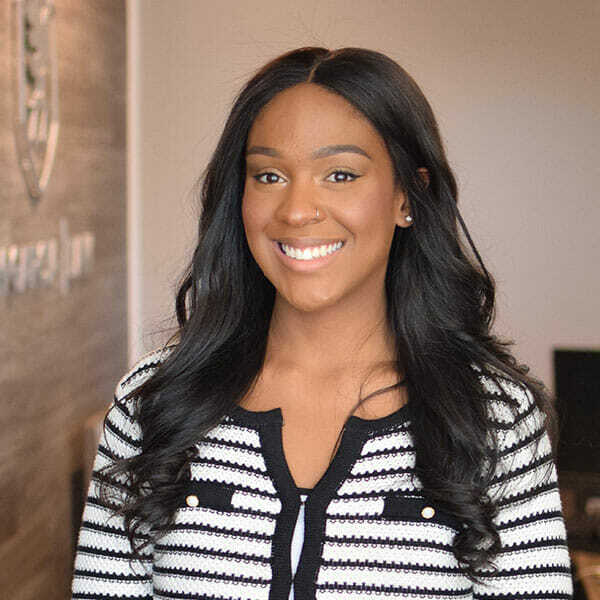 She loves LGL’s focus on providing personable service to clients, guiding them through their personal injury claims so that they can focus on getting better. In her free time, Renee loves going to baseball games and the beach with her son, or catching a happy hour with her best friend (hey Ann Monique! ), because Renee knows that you have to stay happy to make others happy! Angela really loves helping people. In fact, it’s why she is so excited to come to work at Lem Garcia Law every morning. She knows that every single day provides new clients and new opportunities for her and the rest of the LGL team to provide assistance in the same sincere, friendly and open way that they have since LGL started. Angela grew up in San Gabriel and received her degree from Cal Poly Pomona. Outside the office, Angela enjoys reading, writing and crocheting. Charron loves being surrounded by the helpful, kind, hardworking people at Lem Garcia Law. She especially appreciates LGL’s focus on clear, compassionate communication and customer service, because she feels like that helps set LGL apart from other law firms. Charron grew up in Covina and Louisiana (where she lived through a hurricane). She was back in SoCal for college, where she received her degree from California State University, Fullerton. Participating in moot court and receiving an award for legal brief writing in college inspired Charron to become a legal assistant at LGL. Every day, Charron is inspired by her mother because she has experienced lots of hardship, but she is always positive. That is the energy that Charron strives to bring to her life and all her interactions with clients. Vanessa grew up in Los Angeles, Hong Kong, and the Bay area, but Southern California is home. 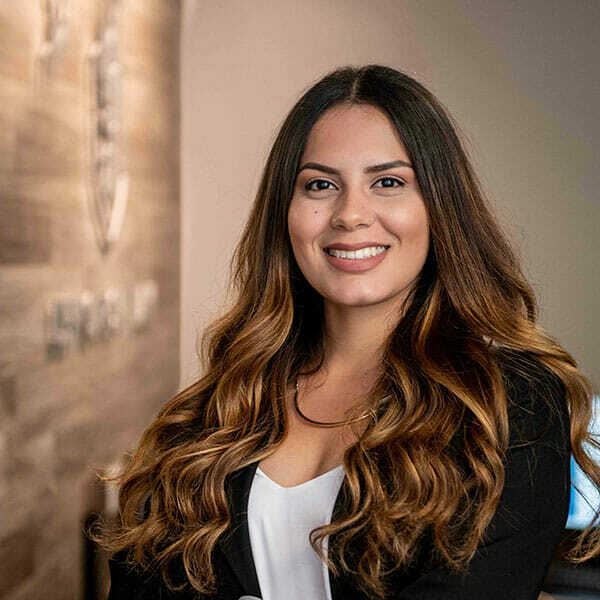 After earning her degree from the University of California, Riverside, Vanessa was overjoyed to get a position on the staff at Lem Garcia Law. “LGL provides the best customer service I’ve ever seen from a law firm,” she says, and she loves that she gets to be a part of that. Her favorite part of the job is getting clients the medical treatment they need, because nothing is worse than not knowing if you can afford medical bills. 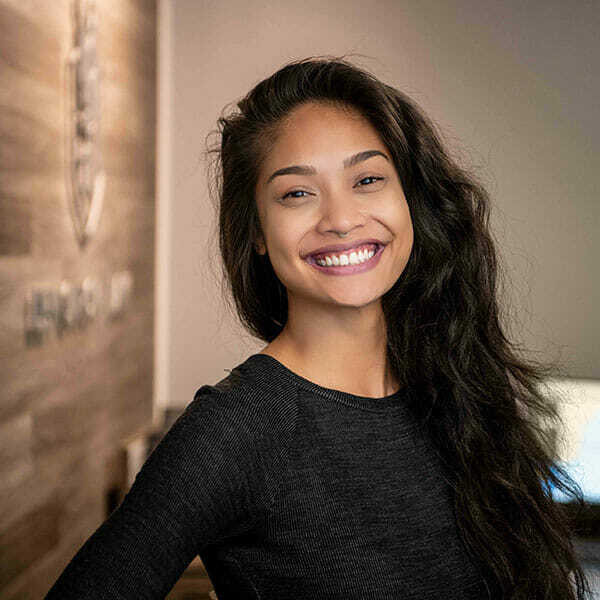 A Socrates quote that Vanessa lives by is “The only true wisdom is in knowing you know nothing.” Well, Vanessa knows a lot, but she is also motivated by a desire to keep learning. She hopes she would make Socrates proud. As secretary, Michaelle is on the front lines at Lem Garcia Law – and she loves it! 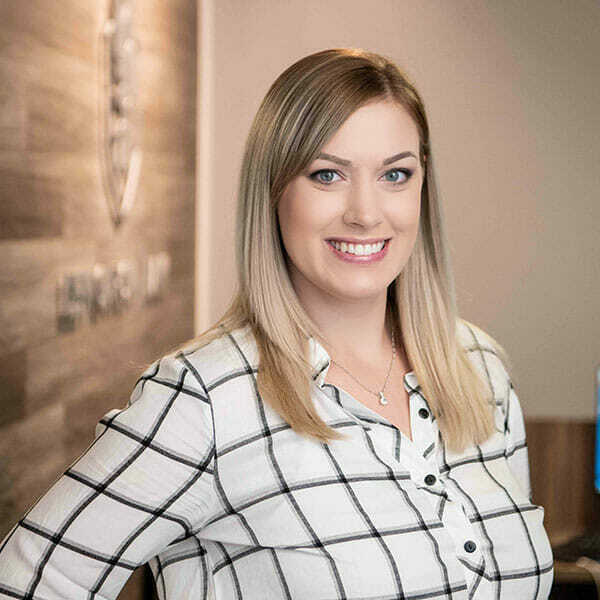 Despite how clients might feel when they first come through the doors at LGL, Michaelle takes pride in seeing the satisfaction on returning clients’ faces and knowing that she was able to play a part in helping them heal. She values the close relationships that LGL staff forms with clients. It’s what gets her excited to come to work each day! A San Gabriel Valley native, Michaelle graduated from East Los Angeles College, and knows all the best places to eat in the LA area. She points to Selena as an inspiration, for being beautiful inside and out, following her dreams no matter what, and spreading love and positivity through creativity – but mostly for being able to eat a whole pizza by herself!